Movement: Calibre BR-CAL.205. Manual winding mechanical. Power reserve of approximately 56 hours. Functions: hours, minutes, small seconds (at 6 o'clock). 5-minute repeater. An hour and minute chime function can be activated or deactivated. A low chime sounds on the hour, followed by a low and high-pitched chime for every five minutes which elapses. This complication is activated using the push-piece on the left-hand side of the case. Case: Argentium®. 52 mm diameter. "Barley" guilloché case back. 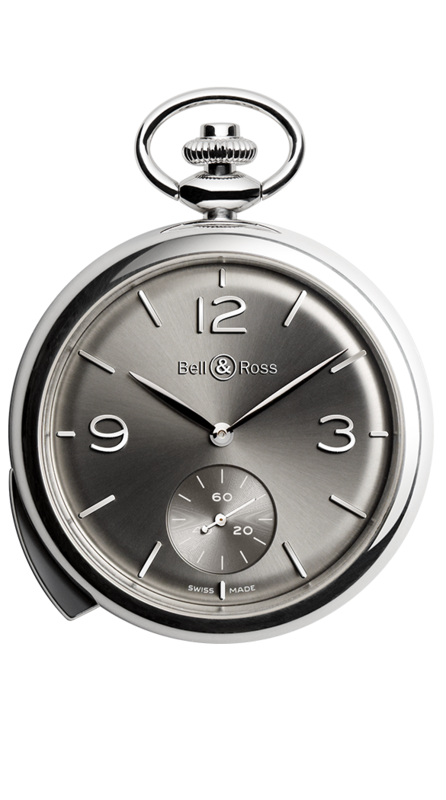 Dial: domed ruthenium, with sunray finish. Metal applique numerals and indexes.